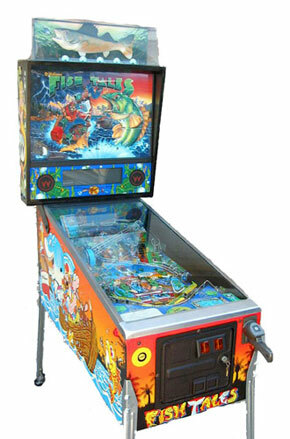 Check out these Williams Fish Tales Pinball Machines for sale. You will also find parts and accessories including the Rotary fishing reel ball lock, moving fish topper, pinball fishing reel, LED kit, rubber ring kits, decals, ramps, manuals, translites, flyers, and sling shots. 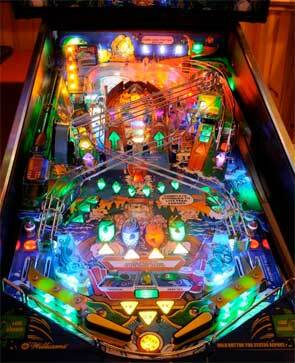 Catch Em All - Hook Line and Sinker!